Independent TD Michael Healy-Rae launched an extraordinary defence of former Football Association of Ireland (FAI) chief executive John Delaney. Mr Healy-Rae lavished praise on Mr Delaney for his work as FAI boss and promised him the “mother of all welcomes” in Kerry later this month. And he argued that if Mr Delaney is guilty of anything, it’s trying to help the FAI. Mr Healy-Rae said Sport Ireland’s temporary withdrawal of funding from the FAI is of “great concern”. He said: “Of course there has to be proper governance, there has to be proper accountancy practices but I really can’t see for the life of me if the three reports come back in a positive way – which would allow for the funding to come in”. There are reviews being undertaken into the issue by Mazars and Grant Thornton. In relation to Mr Delaney’s new role as executive vice-president, Mr Healy-Rae said: “I think that your work ethic back over the years will show that you are eminently qualified and most definitely the best qualified person for this new role that has been created for continuity for dealing with Fifa for dealing with Uefa. He added: “The stuff I’d like to remember is the stuff you have done up and down the length and breadth of this country for the Association. Another TD put it to Mr Healy-Rae – who is not a member of the Oireachtas Sport Committee – that he’s supposed to be asking the FAI questions. However, he continued with the praise. He said: “What I’d like to remind your colleagues here today Mr Delaney – I’d like to remind them of what you have done in your job over many years”. He said Mr Delaney will visit Castleisland AFC later this month to open a new park that they have been seeking for 45 years. “If it wasn’t for John Delnaey and the FAI that park wouldn’t be being opened at the end of this month. 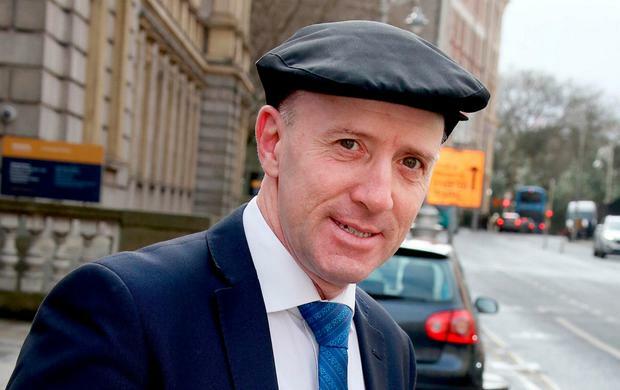 Mr Healy-Rae concluded his statement saying: “When it comes to the accountancy practices… Many of us in business had to do certain things at certain times, during the recession, people bailed out their own small businesses. “They did different things that they had to do.